FAIKA! 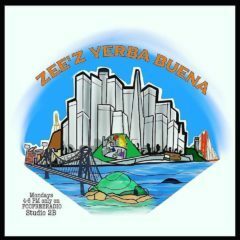 S2:E33 – Jenn Alvarez – Radio for the People, by the People. Jenn Alvarez – Survivor, Wife, Mother, Sister and Friend……..AND our Faika in-studio guest this Sunday!! Jenn is our Pacific Islander role model. She founded SoulJen Solutions to empower men and women. Listen Sunday as we talk to herabout how she became a business owner and community activist. All My Usos (AMU Worldwide) will be LIVE AND DIRECT from Gilman Park in San Francisco next weekend. The AMU Family BBQ is RIGHT AROUND THE CORNER so members will be in our studio one last time to talk to us about this year’s event. Tune in LIVE from 10 am to 12 noon by clicking going to FCCFREERADIO.COM‘s front page and clicking on the “Listen Live 1A” button in the upper right hand area. Or you can download the FCCFREERADIO app to listen on your mobile device. If you miss the live-cast we will post a link to the show on our Facebook page between 1:00 and 1:30.